Lights on the mantle above the fireplace. 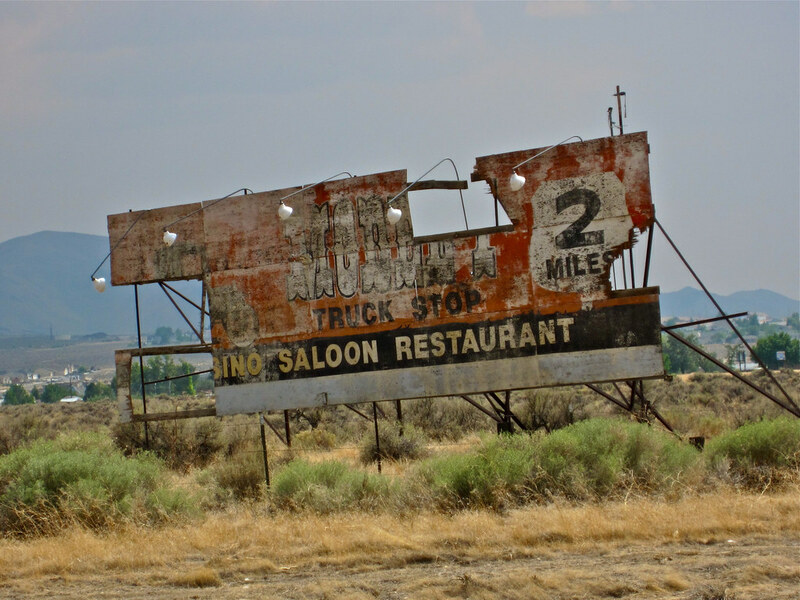 Driving home from Reno, Nevada last week my eyes were drawn to a tattered vintage billboard on the opposite side of the road. As I approached from its backside, it was obvious that years ago six telephone pole type timbers had been securely placed vertically into the ground for support. Ten horizontal slats of wood had been meticulously placed across those six timbers to hold up the twenty or so four by eight pieces of plywood that would make up the billboard. Much like the billboard pictured above, there were two or three pieces of plywood missing from this once proud billboard that in its heyday brilliantly advertiased to passing motorists a certain product or upcoming destination. In fact, on this particular billboard the paint was so faded and other coverings for the billboard in more recent days were so tattered that it was literally impossible to figure out what the billboard was advertising. With faded paint, torn coverings and missing pieces, this billboard had lost its primary purpose: capture a driver’s attention and create a memorable impression. Do you wonder the same thing? Or am I alone in this??? First, no matter how tattered the current condition of our billboard may be, God has an amazing ability to restore, regenerate and recreate a beautiful memorable message for all to see. Secondly, no matter how tattered the current condition of our billboard may be, God has an amazing ability to speak to those who pass us by through our brokenness and “tatteredness.” How amazing is that!! So, fellow billboards, straighten up and stand tall! I look forward to our paths crossing and my attention being captured by your memorable, unique and beautiful billboard!